3 coats, this is a bit tempermental as is usual for yellows. 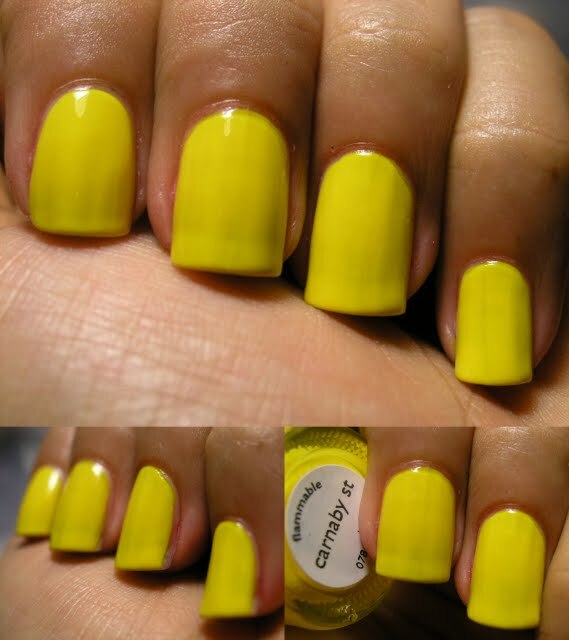 Nails Inc describes this as: Bright canary yellow nail polish. This is the last of the shades that I have that will be available at Sephora. Here are all the Swatches of the Nails Inc that I have that are available at Sephora. Hopefully I will be adding more once I actually buy some from there. I already asked my brother for a Sephora gift card for my birthday and it is coming soon!